As an all-volunteer organization, Thanks To Yanks works tirelessly to do our part to help support service members, veterans, and their families. We wanted to share a few stories with you. It is because of our volunteers, donors, and sponsors that we can fulfill our mission. Thank you for supporting Thanks To Yanks. We received an email early on a Saturday morning, from a disabled soldier, husband, and father to three children. They were completely out of food. Waiting for their acceptance for food stamps, and it was school vacation so no free breakfast or lunch for two of the kids. They were also in need of diapers for their 2-year-old. Board members, Mike and Donnalee, headed to the grocery store, filled the cart with meats, poultry, eggs, fruit, vegetables, snacks and a case of diapers. It is because of our donors and sponsors that make our support services available. Everything was delivered to the family the same day, and we were able to provide the essentials for this families’ survival. Over the winter, a care request came in from a veteran Marine who needed a new furnace. The one he had was beyond repair, and they had small children in the house. The family had raised a lot of the money for a new furnace but were short funds. 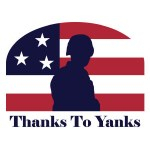 Thanks To Yanks reached out to a local Marine Corps League and between the two organizations we were able to provide the family with the rest of the resources they needed to install a new furnace. Your support provided this family with a basic necessity to survive the New England weather. Thanks To Yanks has been blessed to have many people step up to the plate to help us assist our service members, veterans, and their families. The volunteer spotlight is our way of recognizing volunteers who have gone above and beyond. This volunteer spotlight is on Rich Allain, U.S. Marine Veteran. He began volunteering with Thanks To Yanks over two years ago. 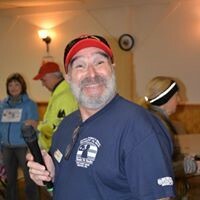 In that time, he has taken on securing donations and sponsorships for the annual All-You-Can-Eat Breakfast and single-handedly organized one of our most successful fundraising events, our “Never Forget” Veterans Day 5 Miler Run and 2 Miler Walk. Rich is always saying “yes” I can do that. He talks to everyone he meets about Thanks To Yanks and the work we do. Sometimes, it is almost embarrassing to be standing next to Rich when he is saying “these people do more than anyone I know to help a veteran – they are the real deal.” Not only does he solicit support for Thanks To Yanks, he readily directs veterans in need to our programs as he knows we are committed to serving those who serve(d) us. Help us expand our reach to more service members, veterans, and their families.